My last ramen post and also the final stall for The Ultimate Ramen Champion, here’s a close look at Taishoken (some of you are probably breathing a sigh of relief after my back to back posts on ramen places in Singapore hehe). 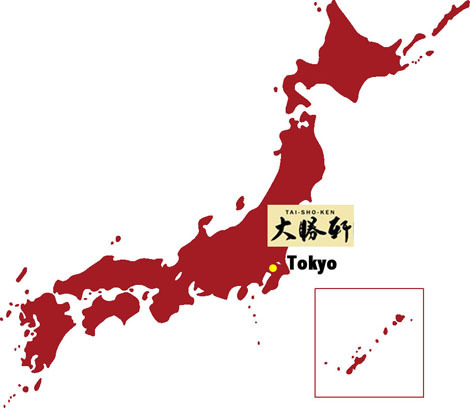 Taishoken is one of the most famous ramen shops in Tokyo; the founder Kazuo Yamagishi is said to be the inventor of Tsukemen. If you're ravenous, go large! 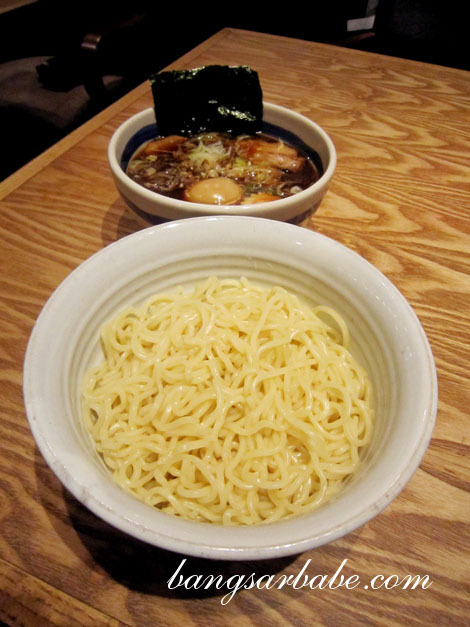 Like Tetsu, the noodles and broth are served separate. This ensures that the noodles remain al dente rather than get progressively soggy as the meal goes on. The Mori Soba (SGD14 – 200gm noodles) is Taishoken’s signature where the broth is made with pork, chicken, anchovies and sweet vinegar, and boiled for 6 hours. Hot or cold noodles? You decide! For an added kick, help yourself to some ginger paste and chilli flakes. Thick and savoury with a sweet-sour note from the vinegar, I found the dipping broth pretty refreshing. Not as porky as Tetsu, but its thick and nuanced flavour paired well with the noodles. Don’t attempt to sip this liberally as it is very salty on its own. The noodles were smooth, springy and retained a nice bite throughout. 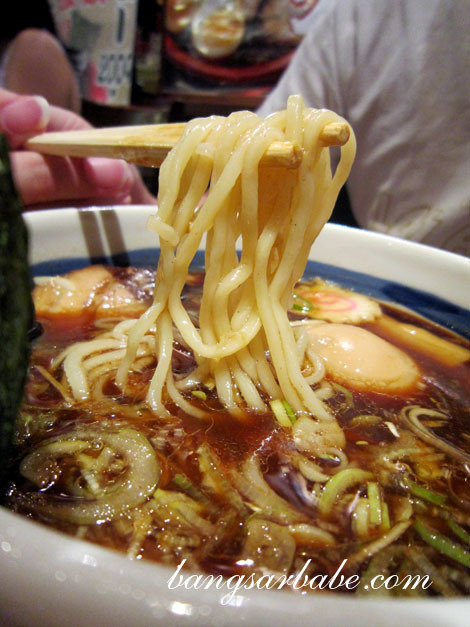 You can opt to have it hot, but most people eat the noodles cold for an added contrast when dipped into the hot broth. For a bit of kick, I added some chilli and ginger paste onto the noodles. I liked that the flavoured egg was nicely done – gooey centre and almost cooked on the outside. The chashu had a lovely roasted flavour and was of a generous portion. The layer of fat was tasty and melted in my mouth almost immediately. Once I was done with my noodles, the chef came over and gave me a bowl of fish stock to ‘break’ the broth. “Add soup, drink. Very nice!” he said in his smatter of English. 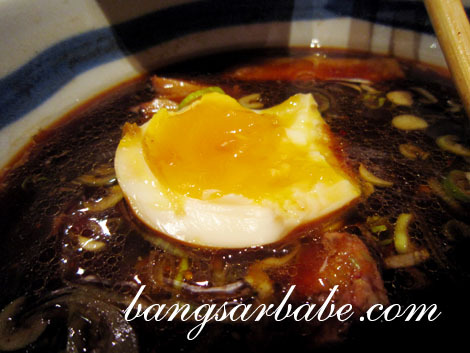 This mellowed the saltiness of the broth and turned it into a pleasant bowl of soup. On a whole, I found the Mori Soba at Taishoken pretty good. Granted the broth wasn’t as porky as some ramen stalls, but the flavours were robust with a hint of sweet and sour. 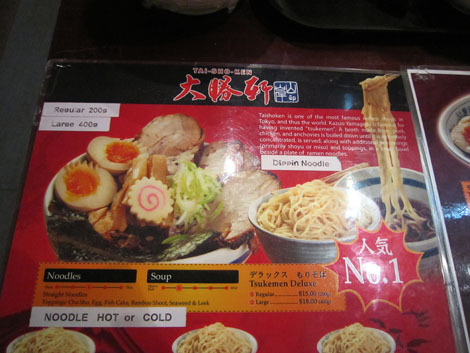 The noodles were nice and chewy, while the chashu was well-flavoured from the broth and seasoning. 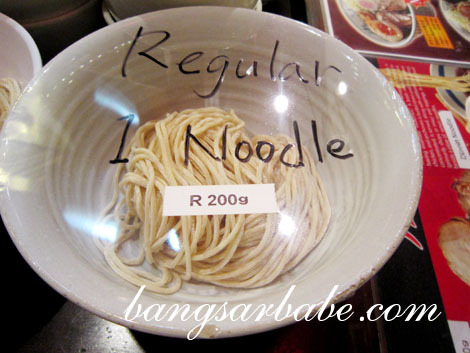 If you want a hearty bowl of ramen that doesn’t make you feel as though you need an angioplasty, give this a try! Verdict: Robust dipping broth and noodles with a nice chew. The chashu is deliciously tender and flavourful from the seasoning. YOU are the ultimate ramen champion la! i think i got a ramen overdose just from reading all 8 posts! lol… what are you trying to say? Salute for had so many ramen in ? days!!! i hail you ramen queen. You must be the official Ramen Expert!